The Chinese-American Planning Council (CPC) expresses concern that the New York State budget leaves Asian American & Pacific Islander, immigrants, low-income New Yorkers, women, and human services workers behind. New York, NY -- The New York State Budget was passed late Sunday night, totaling $175.5 billion. 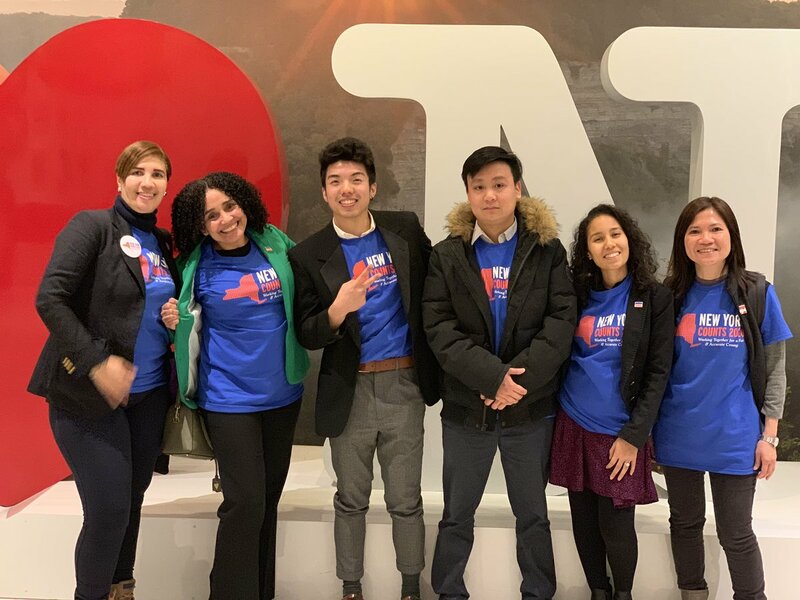 The enacted FY20 budget tackled an ambitious agenda, and while it contained positive landmark reforms, it failed to deliver on several areas that impact Asian American and Pacific Islander (AAPI), immigrant, and low-income New Yorkers. At a time when our communities are under constant threat by the federal administration, and after an enthusiastic end to the midterm elections, CPC is disappointed that the budget does not make good on the Governor’s promises to be a sanctuary for immigrant New Yorkers and to advance a women’s equity agenda. While important investments in critical human services programs were included, CPC sharply criticizes the budget for being balanced on the backs of human services workers, a largely women of color and immigrant workforce, by removing the statutory Cost of Living Adjustment (COLA) and denying these workers a raise for the 10th year in a row. However, investments in other critical human services programs were included in the budget. “CPC is grateful for the hard work of our State Legislative partners and other advocates who fought for immigrant and low-income communities throughout the budget negotiations. The restoration of Adult Literacy, Liberty Defense Project, and Settlement House Program funding and other programmatic investments will help CPC to continue to promote social and economic empowerment of our community members and their families." said Wayne Ho, President and CEO. CPC is pleased to see the restoration of the Liberty Defense Project at $10 million, which provides supportive legal services for new immigrants. Yet at a time when the increase in need for legal services is skyrocketing, particularly in the Chinese American community, who comprise 20% of all active immigration court cases in New York City, we should be investing far more in these crucial services. The State’s own Office for New Americans (ONA) drastically changed its service provision model this year by increasing the number of sites by cutting total operations spending. This change eliminated ESOL programming from ONA model, leaving behind the newest arrivals and those most in need of support. Critical election reforms to improve access to the electoral system like early voting, electronic pollbooks, online voter registration, and uniform polling hours were included in the budget. However, CPC was disappointed to see that public financing for elections was not included in the budget despite broad public and elected official support. “Comprehensive campaign finance reform and small donor matching is key to building meaningful political power for immigrants, communities of color and low income New Yorkers, and a last minute swap for a commission lacks the dedication to creating equitable access to the electoral system for our communities that was promised.” said Carlyn Cowen, Chief Policy and Public Affairs Officer. CPC is deeply dismayed that preparations for the 2020 Census were only funded at $20 million, especially given the initial $40 million inclusion the budget and a delayed appointment process to the State Complete Count Commission. “We are at a point where the State’s own underplanning and underinvestment have put New Yorkers at risk of losing billions in federal funding and losing our much-needed representation in Congress. New York is facing a declining state population at the same time that immigrants, one of the fastest growing communities, are being discouraged from filling out the Census. By failing to fully fund a community-based approach, New York State stands to lose twice through both a falling population and a massive undercount, not only shortchanging immigrants and people of color, but all New Yorkers.” said Amy Torres, Director of Policy and Advocacy. CPC applauds the inclusion of a funding plan to make much needed repairs and improvements to the MTA, including congestion pricing. Rather than relying on ineffective fare hikes or punitive turnstile ticketing that only hurts the most desperate commuters, this user-based plan is a significant step towards creating a more accessible city, especially as CPC’s community members have been pushed farther away because of plummeting affordability. Below is a summary of key budget items that impact Asian American, immigrant and low-income communities, as well as the items that affect nonprofit organizations serving these communities. CPC is grateful to work with other advocates and Legislators to push for these priorities to be fully funded in the State budget. Strong Nonprofits for a Better New York: $15 million investment towards funding the mandated minimum wage increase in State contracts with human services providers is much needed help for nonprofits to cover these increases. Unfortunately, the $140 million ask for a Cost of Living Adjustment (COLA) for all human services employees was not included, although a 2% adjustment for direct care workers was. Adequate indirect rates continue to go unfunded in the State budget, and we plan to continue working to ensure that all contracts are funded to meet the full cost of providing services. Adult Literacy, After-School, Summer Youth Employment Program, Naturally Occurring Retirement Communities (NORCs): Restorations or increases were made to all of these key programs that support our community members and their families. Early Childhood: While the $26 million for the state child care market rate was restored, New York City was excluded from this funding. Further, additional money was given to charter schools at a rate nearly similar to district schools, while $20 million in Early Childhood Education childcare subsidies were left out altogether, a bitter loss at a time when NYC’s early education system’s extended hour funding hangs in limbo. Community-based childcare is a preferred and trusted choice for immigrant and working families. Home Stability Support: $15 million in funding was included for the rental assistance subsidy program that will help ensure that people are able to remain in their homes, but CPC was disappointed to see that the $100 million that was allocated in both one house bills was not finalized to help address the growing crisis of 89,000 homeless New Yorkers. Drivers Licenses for All: CPC was disappointed to see that the budget did not include drivers license access for undocumented New Yorkers, which would promote access, safety on the roads, and create additional revenue. Affordable Care Act: The State budget codified portions of the Affordable Care Act and the NY State of Health Marketplace, protecting them from federal threats. Home Care: $4 million was invested to compensate providers for services provided to Independence Care System (ICS) Managed Long Term Care (MLTC) plan in the wake of ICS’s closure. Additionally the 0.8% across-the-board Medicaid cut to providers proposed was not included in the enacted budget.